600€ Expenses and taxes not included. Great apartment for rent with WI-FI and a swimming pool. It is newly renovated and ready to spend the holidays in the wonderful climate of Torrevieja. The house has a living room with sofa bed and equipped with dining furniture, fully equipped French kitchen with kitchenware, 1 bedroom with a wardrobe and 1 bathroom. Only for 2 people. The price is published for the month of July, rest of the months for consultation. Final cleaning of housing, bedding and towels. Extra + 40.- €. The local tourist tax is NOT INCLUDED in the rent. 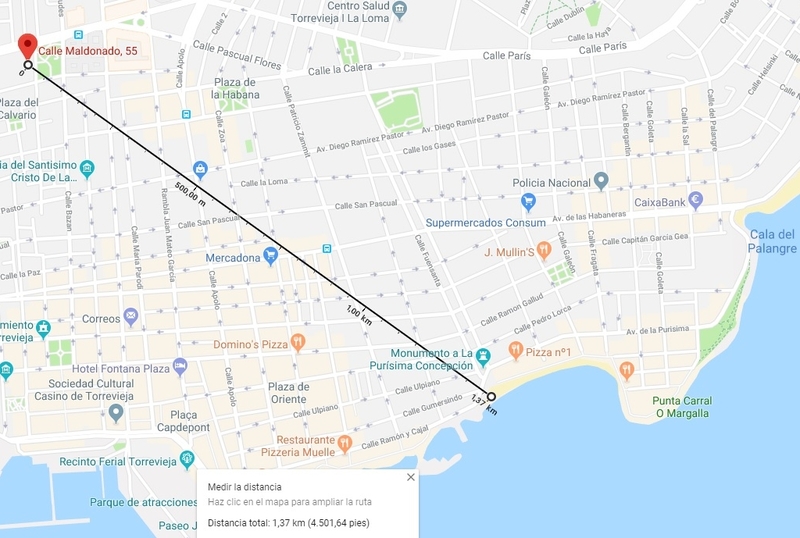 Distance to beach: 1,4 km.